Teen Standup Comedy Class Dates Coming Late January / Early February 2019! 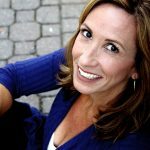 This workshop for teens, ages 13-16, consists of five group classes and two private writing sessions and culminates in a performance at Gotham Comedy Club in New York City. The classes will be held on Fridays from 4:30-6:30pm in Montclair, NJ. The two private writing sessions will be scheduled with the instructor. For more information please call the ACI office at 212-279-6980. Start Date: New Dates Coming Late January / Early February 2019! In this workshop, teens (13-16 yrs old) will find their comedic voice through improvisation, writing and presentational exercises over a span of eight weeks. They will learn the creative writing process, write and perform their own material, and gain confidence as a public speaker. The workshop offers group classes one day a week for seven weeks. 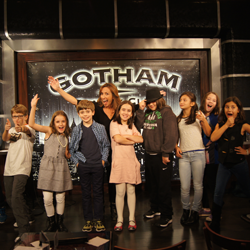 On the eighth week, they will conclude the workshop with a show at the world famous Gotham Comedy Club in NYC.